We Love Soaps and the Indie Series Network are excited to reveal the next round of presenters for the 5th Annual Indie Series Awards, which celebrate the best in independently produced, scripted entertainment created for the Web. Stars from Television, Film, Broadway and the Internet are coming together to celebrate the very best of the World Wide Web. The Indie Series Awards, hosted by Carolyn Hennesy, will take place on April 2, 2014 at the historic El Portal Theatre in North Hollywood. Previously announced presenters include Charlene Tilton, Christine Lakin, Colleen Zenk, Sebastian La Cause, Eric Martsolf, Kyle Lowder, Jillian Clare, Rachael Hip-Flores, Van Hansis and Walt Willey. Anderson is the most-nominated individual in ISA history, with 16 total nominations for his work as a producer, writer and actor on Anacostia, and including a nomination for his guest appearance in Pretty. He won in 2010 (Best Ensemble), 2011 (Lead Actor) and 2012 (Best Writing - Drama). Anderson is currently finishing production on his new reality series, City Boyz. Bell won in 2013 in the Best Lead Actor - Comedy and Best Writing categories for his work on Husbands, and is up for those awards again this year. He is also executive producer of Husbands, which received six nominations this year including Best Web Series - Comedy. Bell has received nine total nominations in the past three years. Brooks is nominated for his work in Bloomers. He is currently starring as "Wyatt Fuller" in CBS daytime drama The Bold and the Beautiful. He received two Daytime Emmy nominations for his work on Days of our Lives, winning in 2009. Brooks starred for three seasons as "Alex Morgan" in the TBS sitcom Blue Mountain State. His other credits include Super Fun Night, Castle, CSI: Miami and the hit teen drama Miss Behave. Conway is nominated for her work in Out With Dad. She has received an ISA nomination each of the last four years, winning in the Best Lead Actress - Drama category in 2012. Her stage credits include "Bonjour, lá, Bonjour," "A New Life" and "Caught in the Net." Coyne is the model on the CBS game show Let's Make a Deal. Coyne spent two seasons as a Utah Jazz Dancer and has performed on stage in "Jubilee!," "Fashionistas," and Sirens of TI." Coyne played herself in The Bold and the Beautiful, and was a stand in model for The Price is Right. Delano is part of the nominated Fumbling Thru the Pieces ensemble. She has received five total nominations in the past three years, winning in the Best Supporting Actress - Comedy category in 2010. Her many television and film credits include roles in Popular, Northern Exposure, ER and L.A. Law. Kanan is currently starring as "A.J. Quartermaine" in the ABC daytime drama General Hospital. His other credits include The Bold and the Beautiful, The Young and the Restless, Sunset Beach and The Outsiders. He co-hosts radio show "Kanan's Rules" with his wife, Michele Kanan. He will be appearing in the upcoming zombie comedy web series Acting Dead. LeBlanc is nominated for his work in Fumbling Thru the Pieces, and the series is nominated in the Best Ensemble - Comedy category. He is best known for playing "Michael Baldwin" in the CBS daytime drama The Young and The Restless, winning three Daytime Emmy Awards along with six other nominations. LeBlanc also stars in the web series Venice. Roget is nominated for her work in Wrecked for the second year in a row. Her TV appearances include Grey's Anatomy, The Fugitive and Leverage. On stage, Roget's many credits include "The Constant Wife," "Noises Off," "Hedwig and the Angry Inch" and "Under the Gaslight. Williamson is nominated for his directing work on EastSiders, and he also stars as part of the series nominated ensemble. Williamson began his career on Broadway, in the Tony-Nominated revival of "Talk Radio." His many other credits include Mad Men, Numb3rs, The Untimely Concurrence and Best Friends Forever. 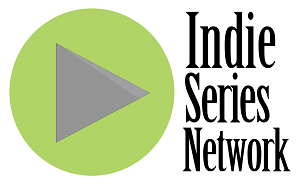 The Indie Series Awards are presented by We Love Soaps and the Indie Series Network, and produced this year by Roger Newcomb, Kevin Mulcahy Jr. and Susan Bernhardt. For more in the Indie Series Awards, visit indieseriesawards.com.